This is a sponsored post from LEV3L Digital for Pinnacle Peak. All opinions are mine. Little Women hits theaters this Friday September 28th. I recently screened this modern day retelling of the classic story by Louisa M. Alcott. When I heard that another remake of Little Women was being made, but this time modernized, I honestly wasn't sure what to make of it at first. Many times, modern versions of classic stories just don't seem to flow well. 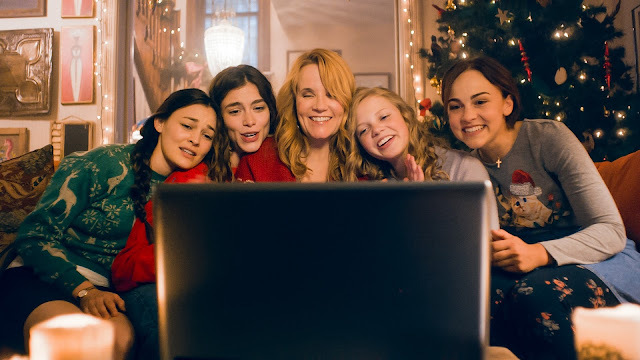 This Little Women film stays true to the original spirit of the classic but gives you the story line in snapshots of the present mixed with flashbacks of the past. You begin with seeing the characters as adults and have glimpses of them as they were girls growing up. 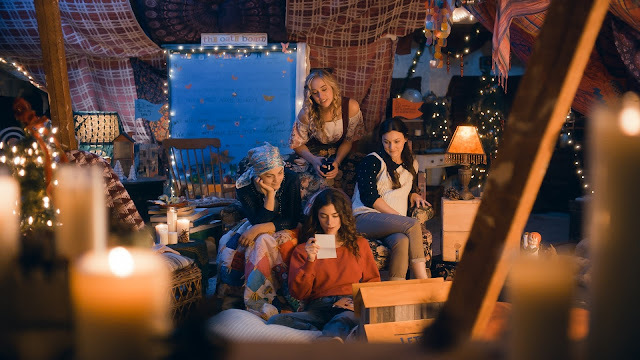 Many of the classic scenes like Jo burning Meg's hair with a curling iron, Amy throwing Jo's manuscript into the fire, and Beth getting sick are the same. I enjoyed seeing Lea Thompson as Marmee. For those that are fans of Switched at Birth, you'll notice her co-star Luke Grabeel plays Laurie. I also think each of the actresses playing the parts of the March sisters were well suited. 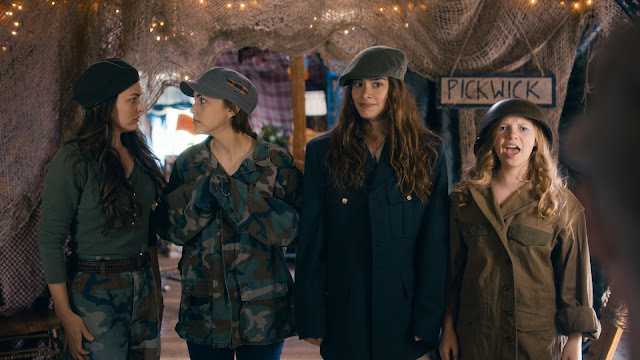 The film is charming and shows the strong relationship that the girls have while their father is away in the military. There are some great scenes where the girls discuss their hopes and dreams for the future. Jo is quirky and funny when she says frequently throughout the movie, "Do all the things." Teen girls will find the movie very relatable. On a family-friendly scale, it is rated PG 13 because of some scenes with teenage drinking and kissing. Some characters that are more developed in the novel don't get as much screen time/development in the film. I would have liked to see more of the sweet grandfatherly figure of Mr. Lawrence and his kindness to Beth, and the cranky and rich Aunt March who was very influential over Jo and Amy. The time constraints of a film didn't really allow for that. I also would have liked to see more angst between Jo and Laurie; it felt more that Laurie was more affectionate toward Jo than she was for him. Overall, there were more things I liked about the film than not. It will be a great way for your younger teens to see an already beloved classic in a modern relatable way, or introduce them to the story for the first time and get them interested in the novel. Little Women hits theaters this Friday September 28th.